Current UFC Heavyweight champion Daniel Cormier has been adamant that he’d only fight once in 2019 before he calls it quits to his combat career. Originally he planned to retire this month however his health issues are preventing him from fighting, so he had to stall his plans a bit. ‘DC’ wants to close his combat career with a lucrative payday fight against former UFC heavyweight champion and WWE star Brock Lesnar. The fight between the pair almost came to fruition when Lesnar came to shove Cormier inside the Octagon after ‘DC’ scored a KO win over Stipe Miocic at UFC 226 last year. Since then Lesnar went on to sign a new contract with WWE, and his future in the UFC is still in the air even though Brock Lesnar has been tested three times by USADA since rejoining the pool last July. Even UFC head honcho Dana White said in his recent interview that he’s optimistic about Lesnar’s return to the UFC possibly this year. 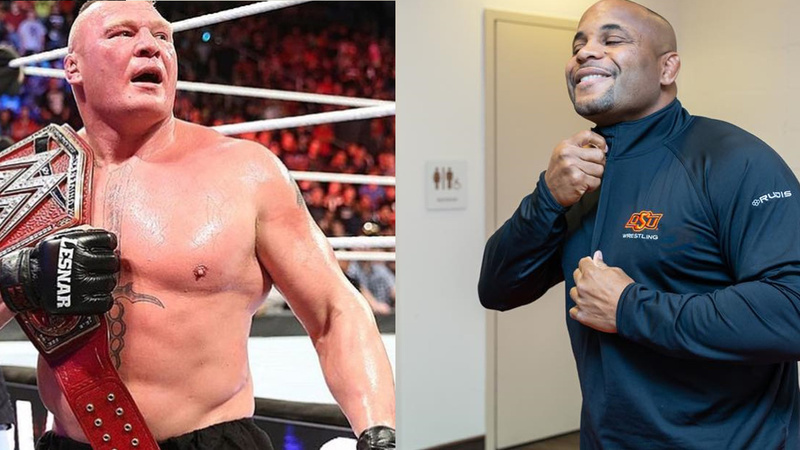 Cormier did attend the WWE Wrestlemania in the past so do u think “DC” will attend April 7th Wrestlemania 35? Do you think we’ll see Lesnar vs. Cormier bout this year?